An update on my end. I've had the MT-16's on for a few rides and damn I love that rubber. Good front end feel, the rear hooks up EVERYWHERE, and a few trips through the rocks hasn't trashed them. My tire guy was accidentally shipped 2 fronts for my order so I just took them both, looks like I'll be running these for a while. I do want to try the Maxxis SI's down the road and I suppose at some point I'll need to take a sip of the Golden Fatty kool-aid. THat's definitely a killer tire set for the woods. I think the message here is that it's hard to beat the tried and true tires for dirt. These 403/404s are blowing my mind. I just put on a fresh set of irc ve35/Dunlop at81 sneaks onto my "training wheels". I may need to take the spandex off and put my moto boots on at some point. Mt16 is going on the rear of the "race" wheels, soon. I have a ways before the first enduro I'm not working. so my bud is giving the weirdo Sedona MX907 a try. anyone have experience with these? curious what he thinks, Slavens thinks they're magik. Magick for what type of riding? Rode the new-to-me klx (drz)400 today on dirt and street. First time on any type of dual sport or motard for me...had a blast. Its got worn d606 knobbies on it, which I understand are pretty common in the dual sport world. I was shocked how smooth they felt on the street...it is almost easy to forget that's what is on there when the fun corners come up. What worries me is I have NO idea of what kind of cornering performance on pavement I can expect out of them, especially on a day like today when the pavement was dry but it was only about 50 degrees out. I was already cornering faster than I would've expected on knobbies, with no unexpected movement yet. 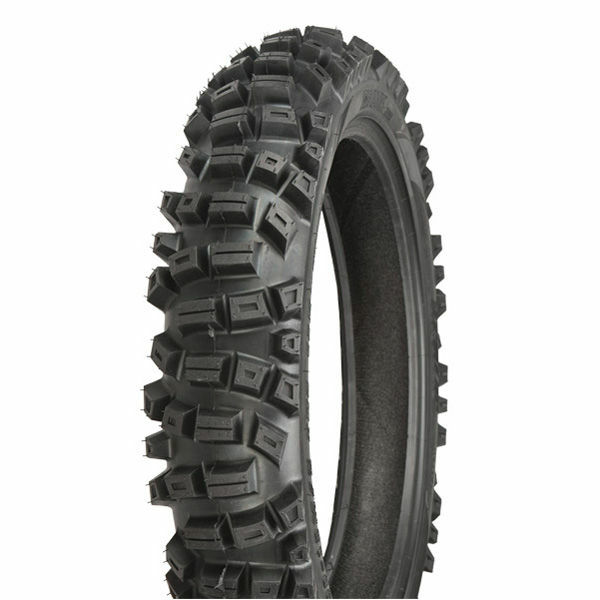 So, for anyone with some dual sport experience who has explored the limits of these tires on pavement: How predictable are they, will they give me some controllable drift if I'm not being an idiot with the inputs? For paved track riding, or street riding on my street bikes, I generally use front brake only; I'm not too sure how confident I can be with exclusive front brake with these tires on pavement, either. How about when they get worn compared to new, again for pavement...does traction decrease, or actually improve with shorter, worn knobs? and how are they on pavement if i get caught in the rain? Last edited by Imbeek; 05-10-17 at 10:05 PM. So about zero in common with the New England woods! lol. You can get pretty wild on them. I am by no means encouraging that kind of behavior, I just know someone whose ridden them. We rode a lot of pavement, broken or otherwise in Guatemala on knobbies. I think they do get more stable and predictable with wear. THe rear tire will howl pretty good to let you know traction is going away. THe front is more of a worry on fast entries. We had place bets on who would lowside first, but nobody did. I had a massive front slide at lean, but it came back to me as I dabbed to save it. Chip recommended those tires for me when I got the bike. It had some shagged Pirelli some-suches on it at the time. I'm constantly amazed at how well they do both in the dirt and the street. I think I mentioned to you that the bike felt better on my little practice track than my KTM 200 with real woods tires. The bike is taller and the weight made it feel more planted, partly because those tires gave the grip. On the street I never found the limits of those tires. Although I rarely pushed it that hard. You probably aren't going to be getting a lot of power drifts out of a DRZ. But you can easily lock and skid the rear with a hint of rear brake while the rear is unloaded. Or even a sharp down-shift and some sloppy clutch work. I found it predictable enough. Rain was kinda sketchy even when the tires were new. I think the bigish blocks do not shed water well. Like a mud-terrain truck tire. I would take it down a notch in the rain. Dirt roads are where that bike (and those tires) is a giggle. Enough power to get the rear to step out and big, beautiful power slides. With my weight forward the front always felt planted and encouraged me to slide the rear, especially after the spring upgrade. I never had the front wash on either pavement or dirt roads; only in the loamy stuff in the woods. Also remember I took that bike with those tires out on NHMX during Stimilon last year. I was pleasantly surprised at how ridable it was in MX. If I HAVE to find something to complain about, the sides of the tank where your legs grip is so slippery that when I would try to grip the bike with my legs, it would just make my knees slide rearward, where the tank is narrower. I'm gonna throw some kinda grip pad on there, dirt bikes stay way straighter and more tame when my legs can make it do what I want...with no knee grip, the bike does what IT wants, with every rock and rut. Never really realized I was doing it that much till the slippery isurface made my grip more or less ineffective. I had a massive front slide at lean, but it came back to me as I dabbed to save it. No, I don't think roots and rocks means the same thing on the west coast. I could be wrong, I have only ridden bicycles out there, and Guatemala... Seems like the rocks have traction for days to me. Just a note about the Goldentyre GT216AA "Fatty" that people have been raving about: I just rode my first event on it (the Hoot Owl TR). It was extremely stable and it allowed the bike to cross ruts diagonally much better than any of my previous front tires. The side grip was tremendous and it never slid out, even when crossing wet, diagonal logs and sticks. I have been riding dirt bikes for 50 years, and I am at a point where I generally do not care what kind of rear tire I run, but this "Fatty"? I am sold, at least until other manufacturers start offering fat competition. I started seeing those Sedona 907's show up last year at NETRA turkey runs, and I saw 2 more bikes with them at last weekends Hoot Owl TR. Their weird side knob pattern makes them stand out so they are easy to spot. it's amazing in deep sand too. my fav part is how it totally changes the way your front end feels on real choppy stuff. as for other manufacturers going FAT, i'm curious about this as well. are tires in the same size, 90/100-21, similar do you think? i'm noticing this size a lot more now, for instance, our friend Tim is running a 90/100-21 Micheline StarCross on his MX bike. yeah, that's what made him give it a try, started to read reviews from riders on the right-hand side of the country more. most of the older reviews are from UT, AZ, CA, etc. seems like the non-HP is more of an all-arounder. i'll post up what he thinks. swapping his order from a 110 to a 120 after seeing that it was kinda skinny. he's going to run it at ~6-7psi with UHD tube. One of the nh dudes I loosely associate with runs this rear. He's actually homies with your dopleganger. I do not recall if I have run other 90/100 tires, but the GT216AA is larger than any 21" front tire I have ever seen. It is not only wider, but it has a much larger circumference as well. Really? Do you have to drop the front end to get the turning back? Page generated in 0.197 seconds with 17 queries.